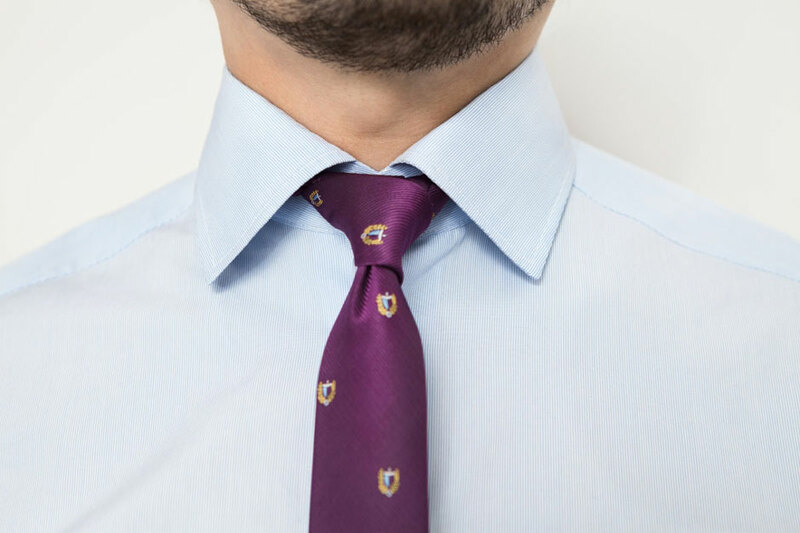 There are only few experiences more satisfying than truly bespoke clothing. 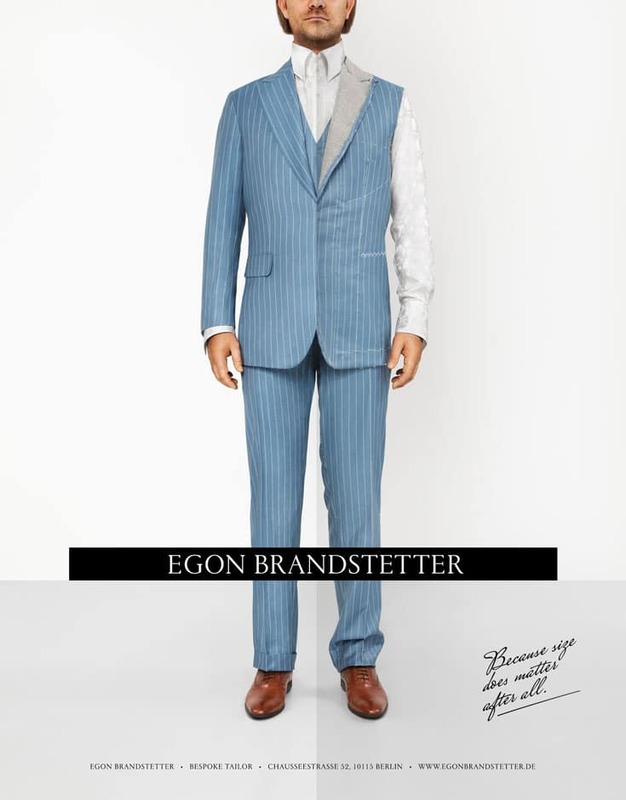 A tailor-made garment – designed to meet your specific requirements – is like a silent companion, who brings a smile to your face while draping your body softly. Custom-made clothing gives you security and is a one-of-a-kind treasure that will last a lifetime. In addition to our bespoke suits and tailored shirts we also offer custom trousers, waistcoats and overcoats. For special occasions we also craft wedding suits or morning coats like the Stresemann stroller suit or cutaway and elegant evening attire such as tuxedos (black tie) or tailcoats (white tie) in our workshop in Berlin Mitte. 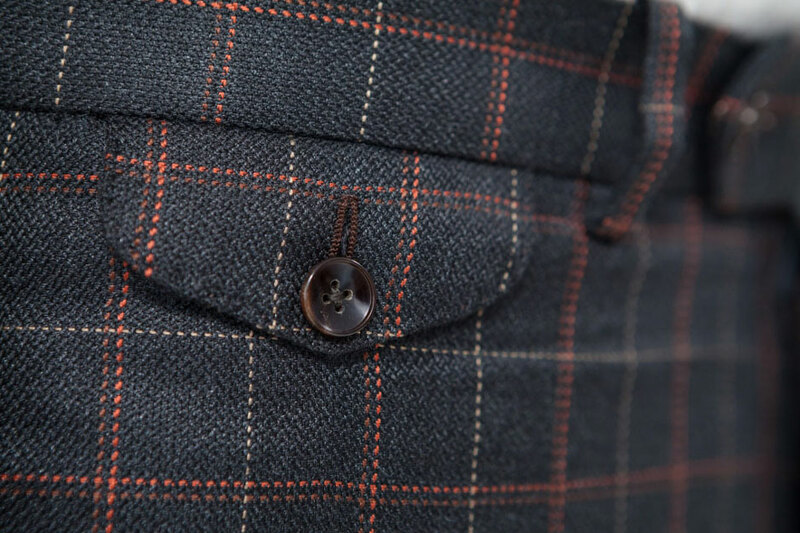 Watch pocket of a bespoke silk suit. 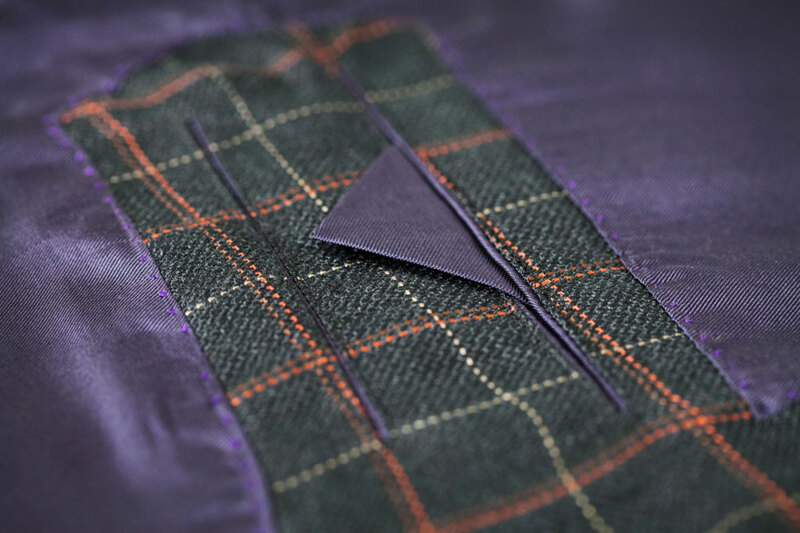 Inside pocket of a bespoke silk suit. Horn buttons and handmade buttonholes of a silk suit. 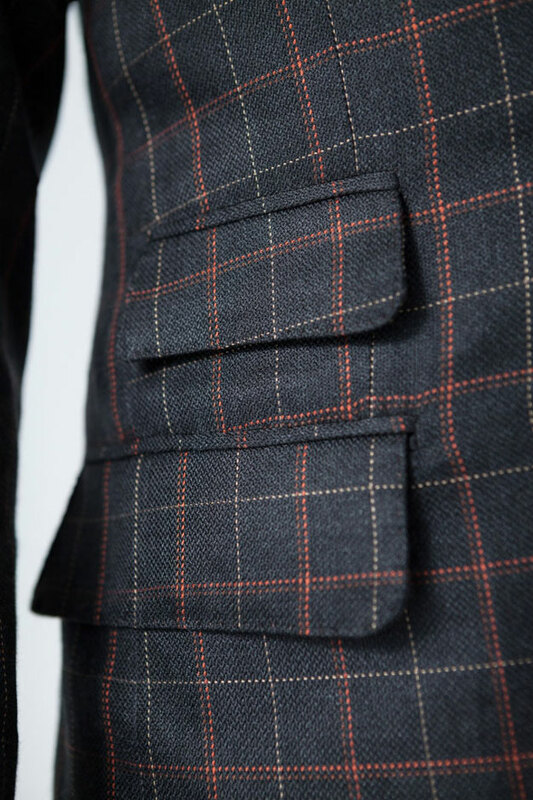 Close-up of a ticket pocket of a bespoke silk suit. Close-up of handmade buttonholes of a bespoke silk suit. 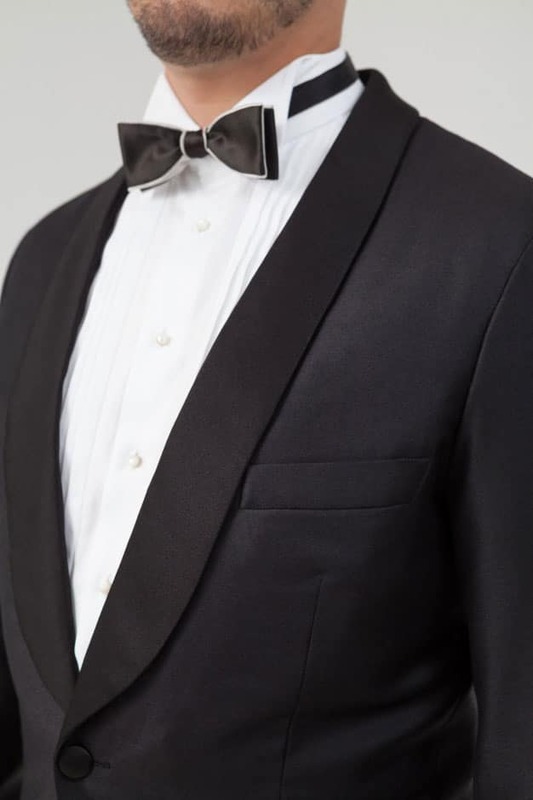 Bespoke dinner jacket with pure silk facing lapel. Silk facing lapel of a bespoke dinner jacket. Welted (piped) pocket of a bespoke dinner jacket. 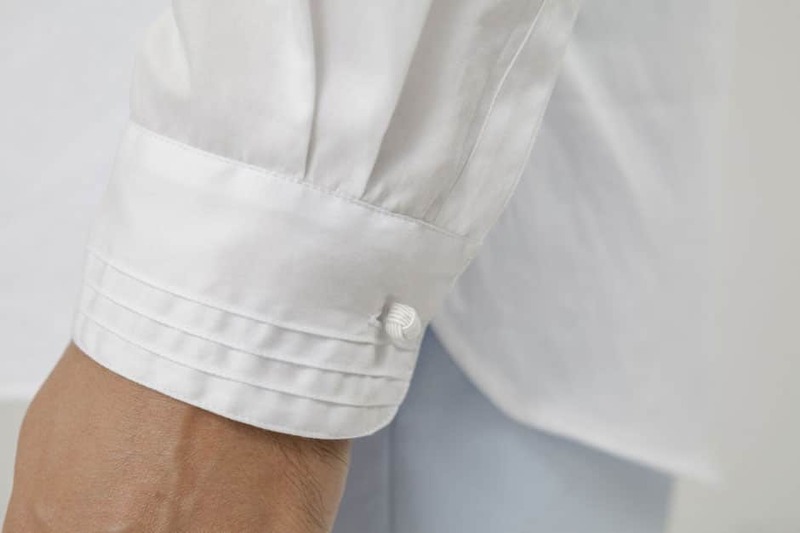 Fabric–covered sleeve buttons of a bespoke dinner jacket. 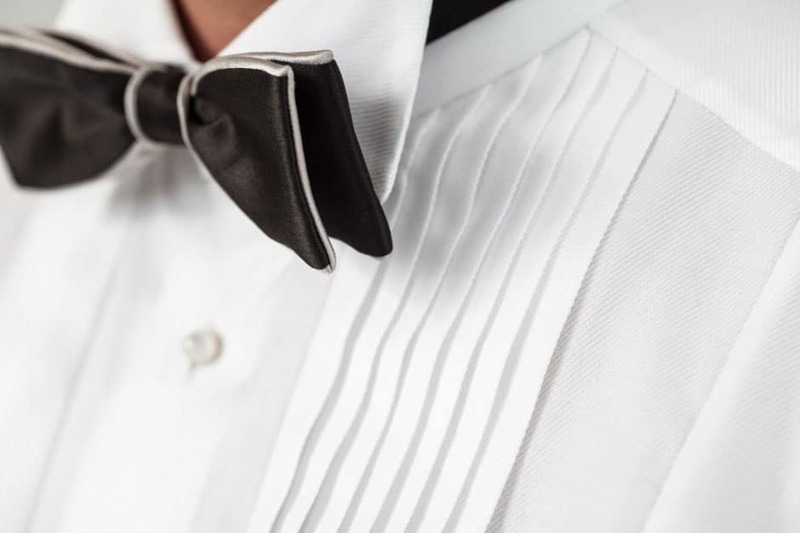 Bespoke dinner jacket shirts for the festive occasion. 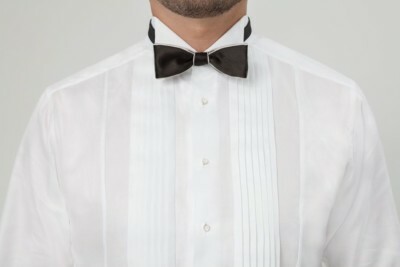 Plissé application of a bespoke dinner jacket shirt. 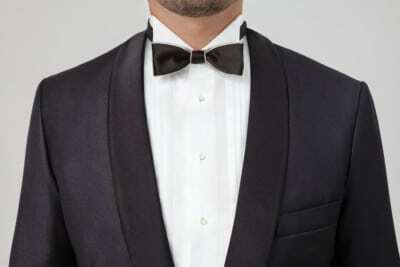 Bespoke dinner jacket shirt for the festive occasion. 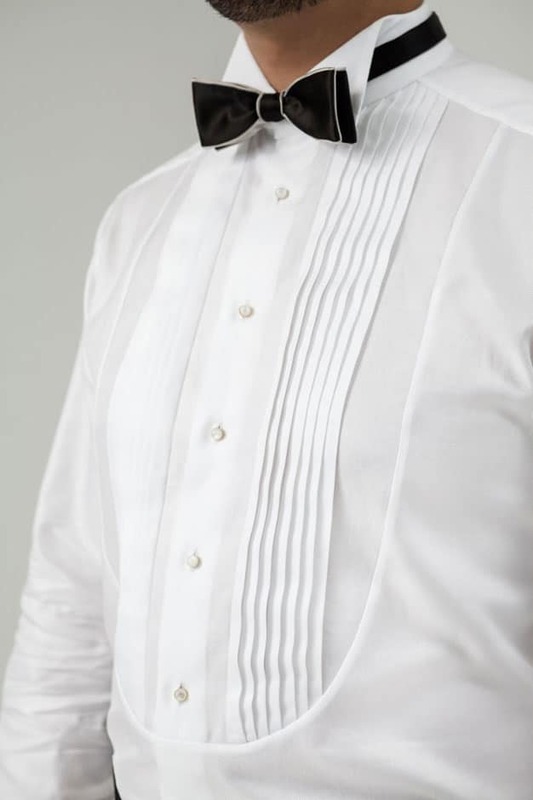 Double cuff of a bespoke dinner jacket shirt. 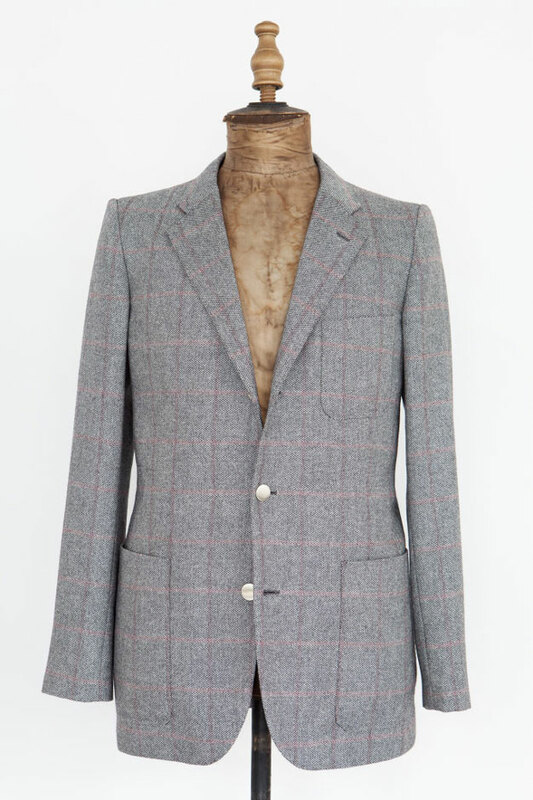 Jacket made of finest cashmere on stockman mannequin. 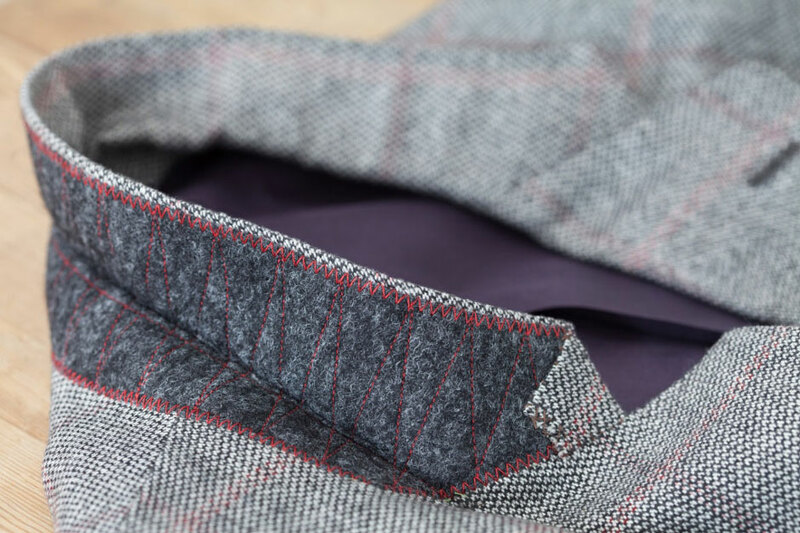 Buttonhole on the lapel of a cashmere jacket. Pad stitching the undercollar of a cashmere jacket. Handmade buttonholes and sleeve lining. 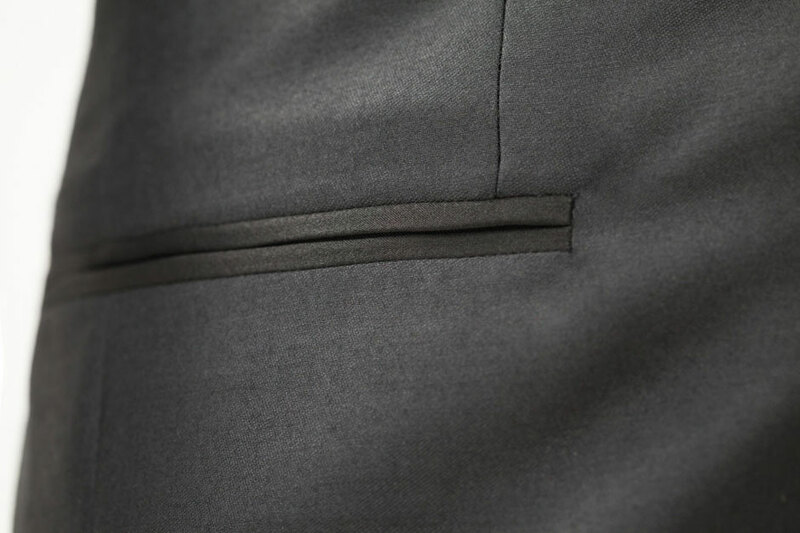 Close-up of a handmade buttonhole on the lapel of a cashmere jacket. 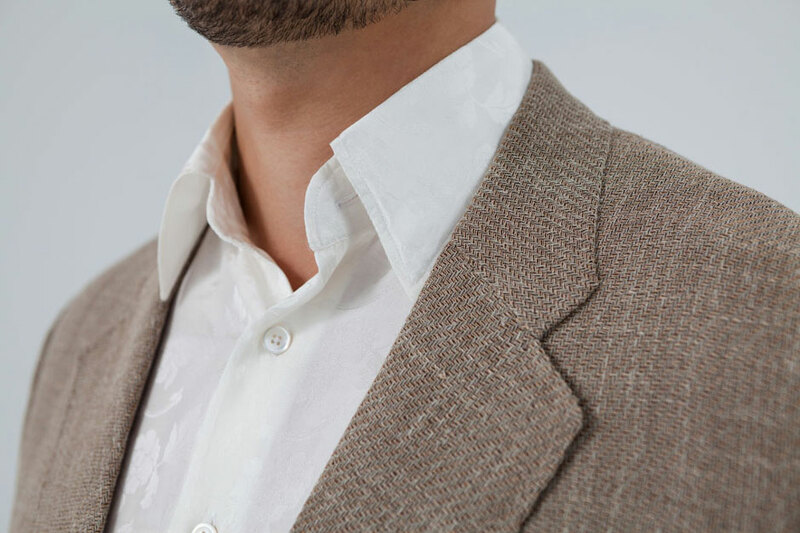 Unlined linen jacket combined with a silk shirt. 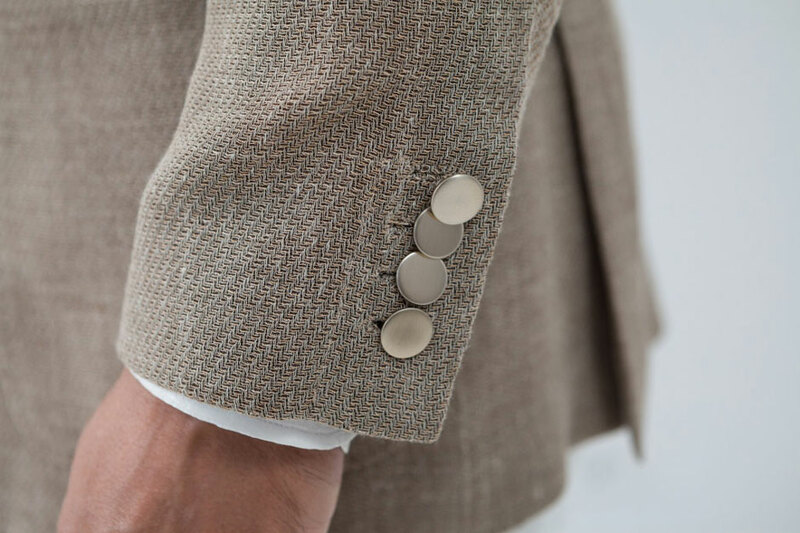 Sleeve buttons on an unlined linen jacket. 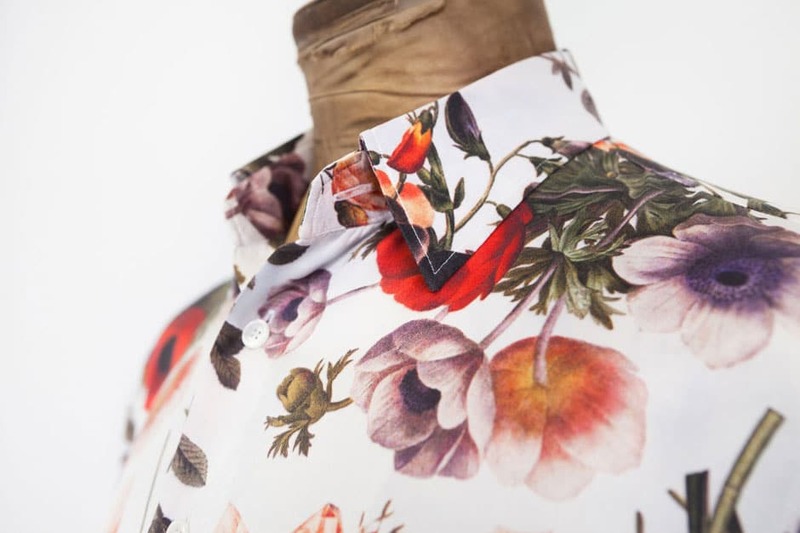 Silk–piqué jacket combined with a silk–jacquard shirt. 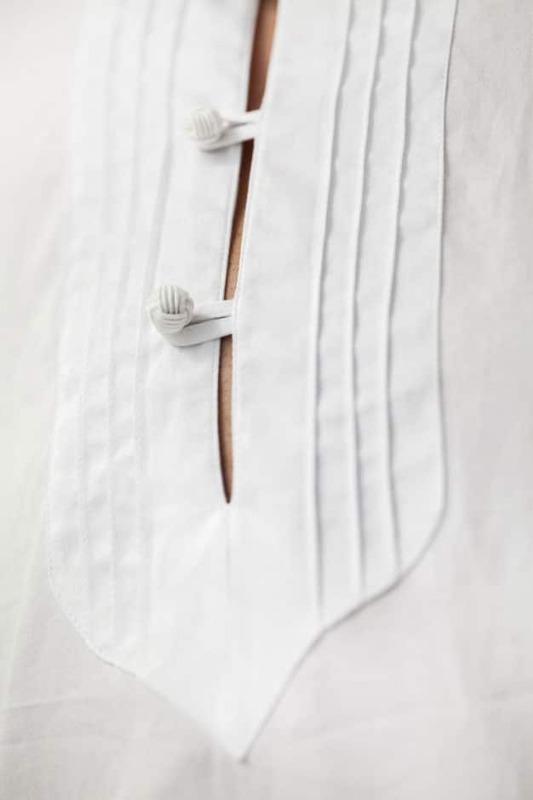 Sleeve buttons on a silk–piqué jacket. 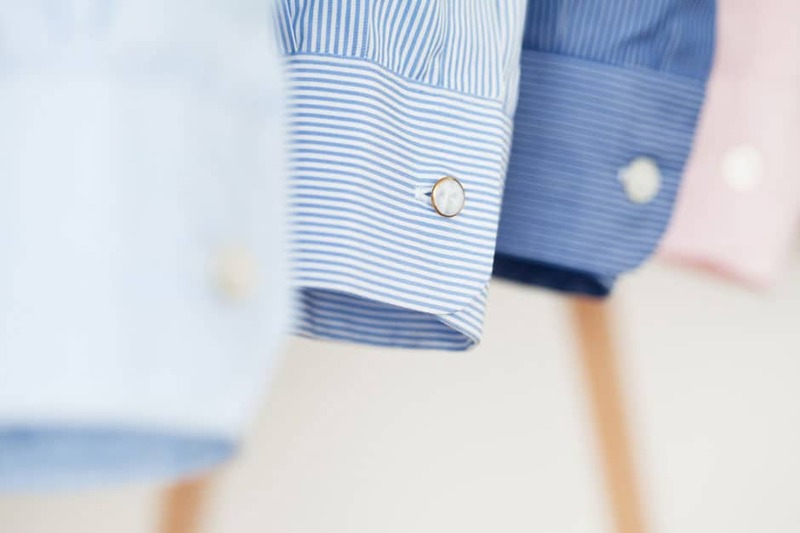 Bespoke business shirts made from the finest thread. 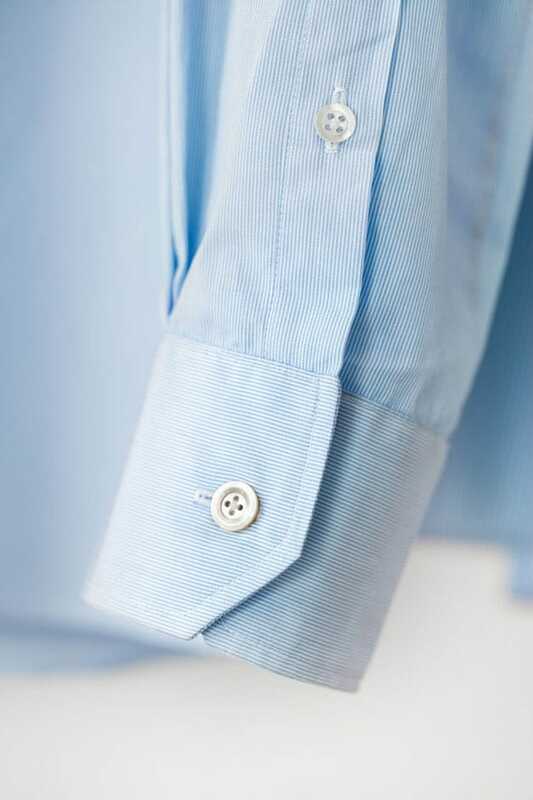 Sleeve cuff of a bespoke business shirt. Button made of pressed glass dust with an edge of 18 carat gold. Close-up of a button made of pressed glass dust with an edge in 18 carat gold. 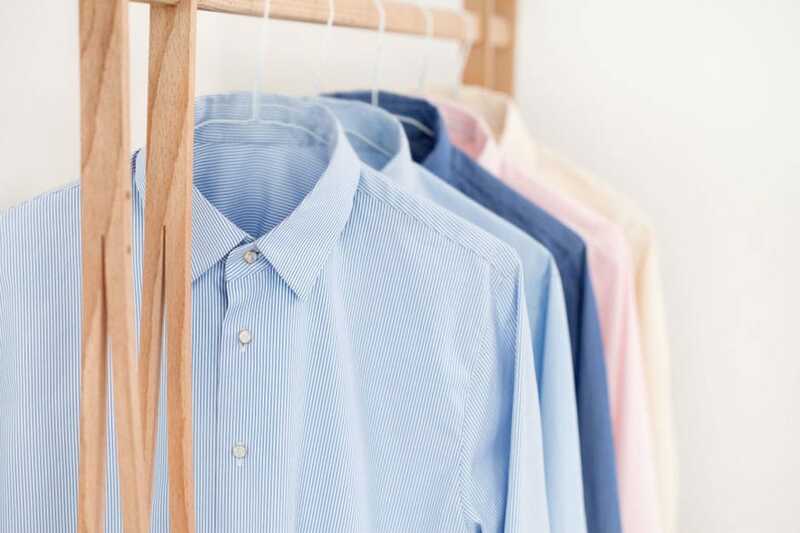 Business shirts made of finest yarn. 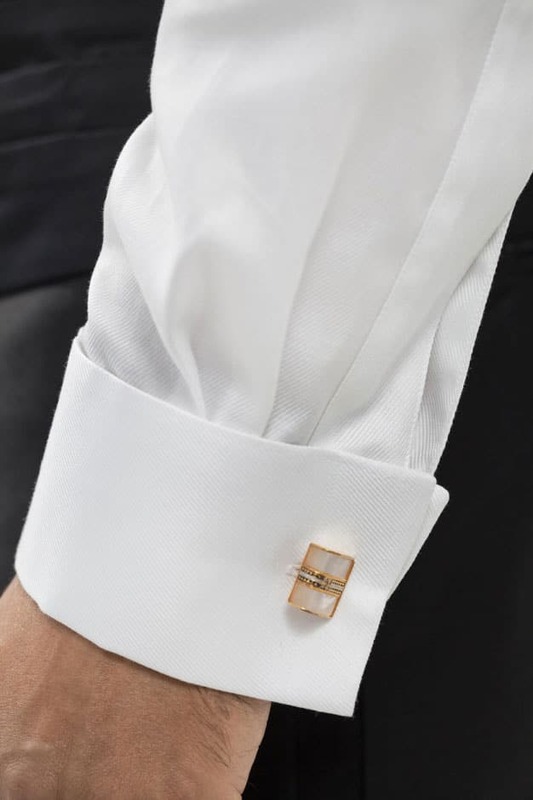 Sleeve cuffs of bespoke business shirts. Oriental inspired bespoke shirt with a pin-tucking stitch. 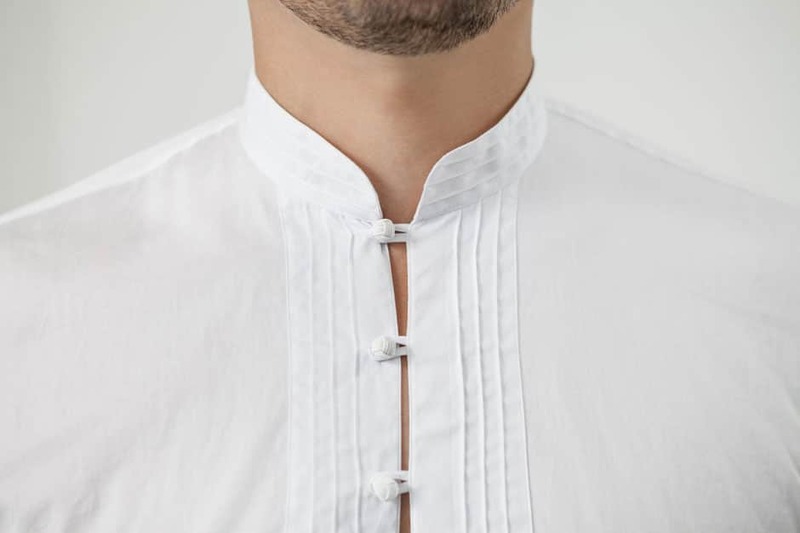 Oriental inspired custom shirt with a pin-tucking stitch. Hand stitched shirt with floral pattern made of silk satin.